I love anything pink, call me a cliché but it’s true. Pink food and pink drinks are great too, you see where I’m going with this right…? 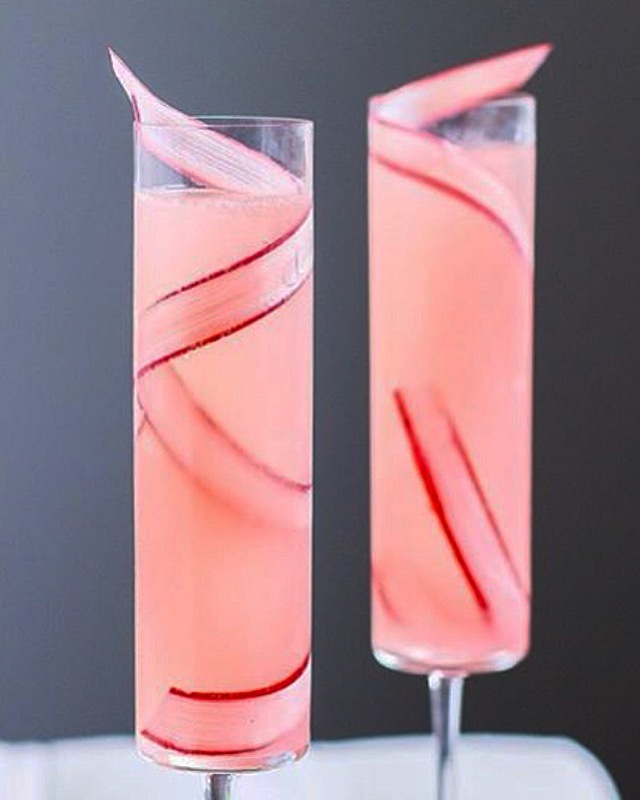 Rhubarb is a wonderful thing, so is gin. This is my favourite cocktail at the moment. It comes with a warning though; it’s properly feisty and you won’t be able to stop at one. In a cocktail shaker, add the gin, lemon juice and ice. Shake away and then pour slowly into your ice-filled glass. Now here’s the fun part, top with your fizz of choice and drink up!